I found one at the McDonald's in the Baltimore-Washington International Airport for $4.99 while on vacation. 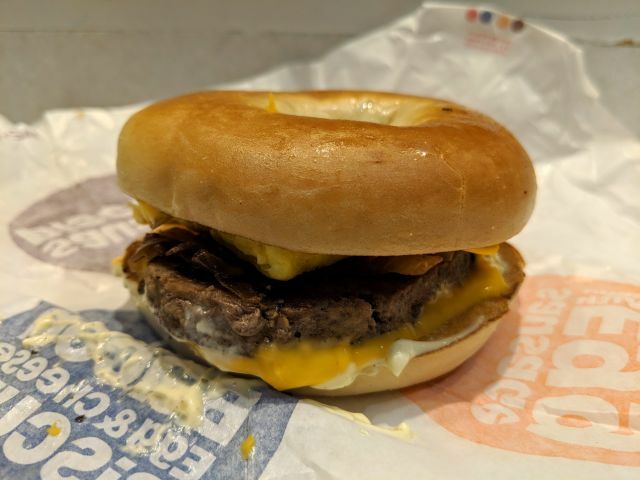 Living in Los Angeles, I had never seen either steak or bagels offered at McDonald's let alone the combination of the two, so I was pretty curious to try the sandwich. The bagel itself was decently soft and a little under-toasted for my liking. Along for the ride was some nicely melted and appropriately gooey American cheese and your standard fast food egg that was passably fluffy. The steak patty was a somewhat odd shape for the bagel, like a rounded rectangle not unlike McDonald's hashbrown. As a result, there was a noticeable amount of bagel that remained steak-free during the eating process. For the steak's texture, I expected a tougher bite but the patty is actually chopped steak and very tender and moist. It was also flavorful and went well with the grilled onions, which added some pleasant sweetness to the sandwich. My favorite part of the sandwich was actually the Breakfast sauce. It's a creamy sauce that is highly savory and not at all tangy like a hollandaise, which is what I originally thought it was. It helped bring all of the ingredients in the sandwich together without overpowering any one component. 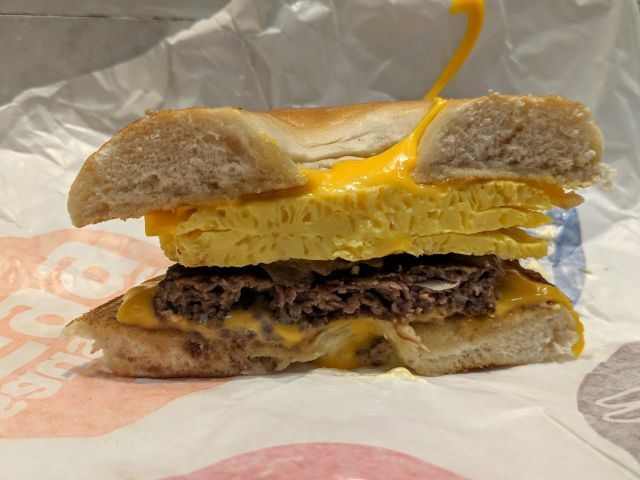 Overall, I really enjoyed McDonald's Steak, Egg, & Cheese Bagel sandwich. It's definitely a hearty breakfast for those who enjoy having a savory start to their day. 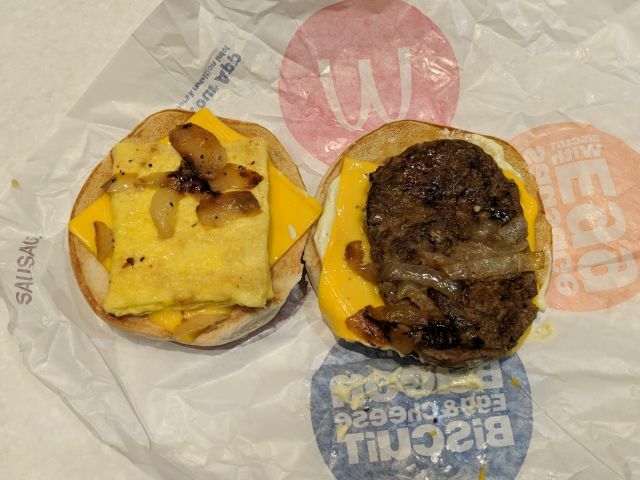 I'm rather bummed that this sandwich isn't available where I live because I think I found my new favorite McDonald's breakfast.